CCNY's Michelle Valladares is the Americas Poetry Festival of New York’s Poet of the Year. Valladares, who is director of City College’s MFA Program in Creative Writing, was among 60 poets from around the world that participated in the Americas Poetry Festival in New York. The multilingual event featured readings in five languages. 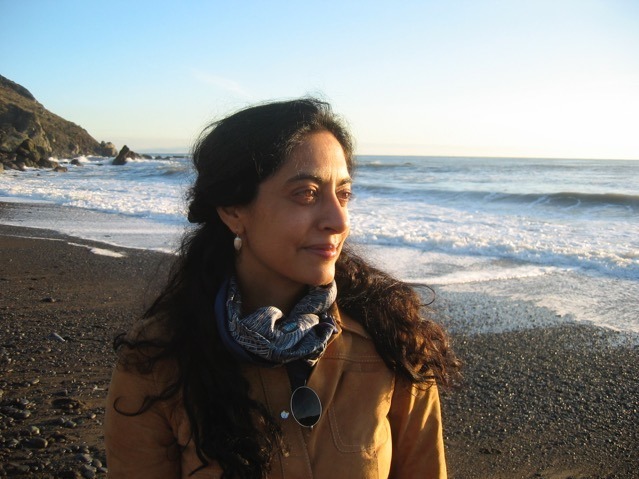 Born in India and raised in Kuwait, Valladares is the author of “Nortada, The North Wind.” Her poems have been nominated for a Pushcart Prize and appeared in numerous publications including the Aster(ix) Journal, Clockhouse, and The Literary Review. Her work is included in the anthologies “Language for a New Century: Contemporary Poetry from the Middle East, Asia & Beyond,” “The HarperCollins Book of English Poetry by Indians,” and the forthcoming “The New Poetry, Modern English Poems by Indians” (Sahitya Akademi). She received a writer’s residency from Hedgebrook. Valladares co-produced the award winning films “O Sertão das Memórias,” directed by José Araújo, (Brazil, Best Latin American Film, 1997 Sundance Festival,) and “El Diablo Nunca Duerme,” directed by Lourdes Portillo. (Mexico/US, Distinguished Documentary Achievement, Independent Documentary Association).